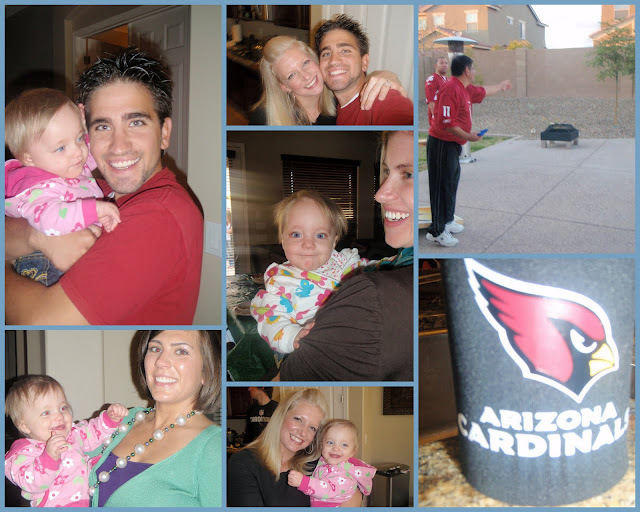 Eventhough the Cardinals weren't in the super bowl we couldn't help bringing some AZ Card love to the party. Stacy and Dylan hosted yet again this year. We had a great time eventhough we had to leave early to get the girls to bed. We love spending time with the fam. Things have been a little crazy lately so we needed to let off some steam. 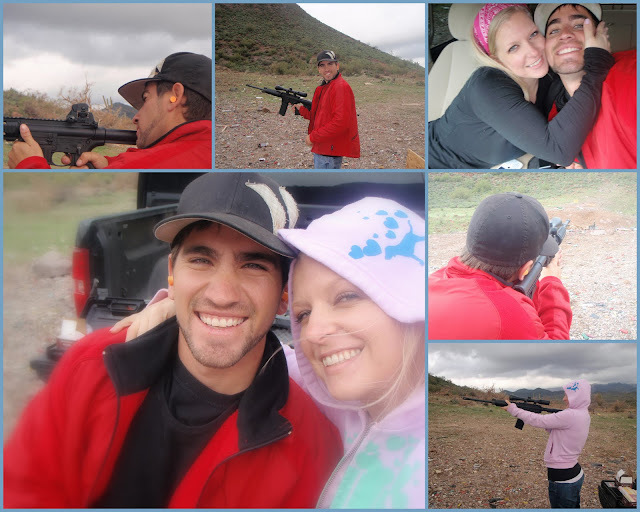 Target shooting is the perfect outlook... The wind was peircing on our noses and hands so the trip ended sooner than Shawn wanted but it was nice to have some time with just the two of us.